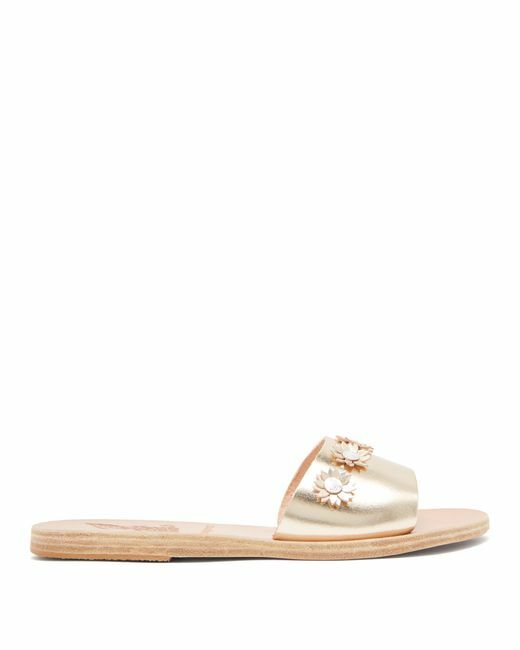 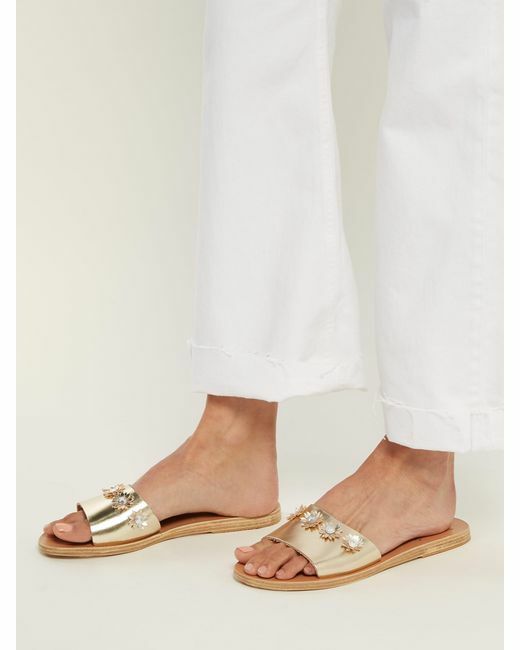 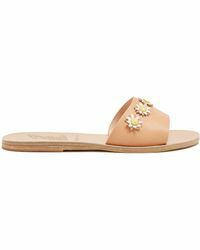 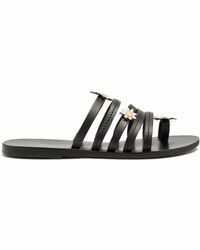 These metallic gold slides combine the fine artisinal craftsmanship of Ancient Greek Sandals with the alluring feminine charm of fellow footwear designer, Fabrizio Viti. 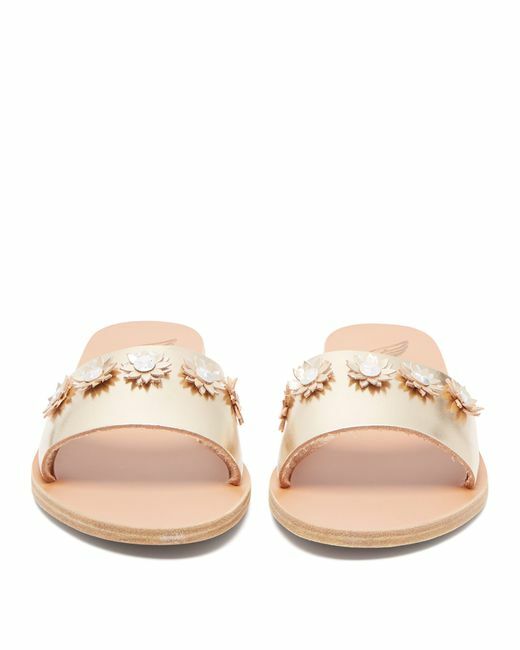 They're made from leather straps with intricate daisy appliqué, and small heels. 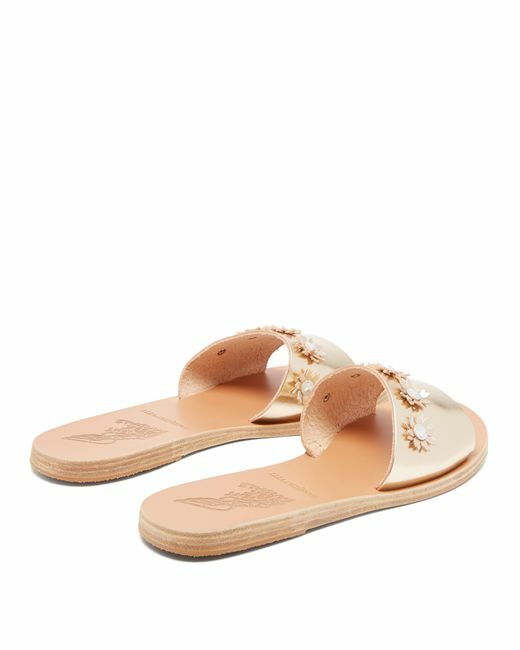 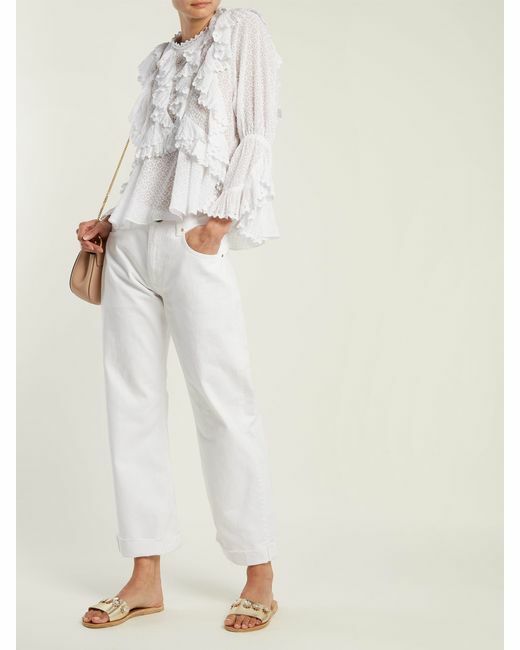 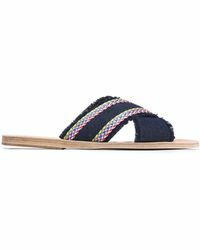 Slip them under an array of summer edits for relaxed elegance.